I love shoes. In fact, I spend more time than is healthy browsing online shoe sales. I love how big a choice there is when it comes to styles. One of the most versatile shoe styles is of course Brogues. 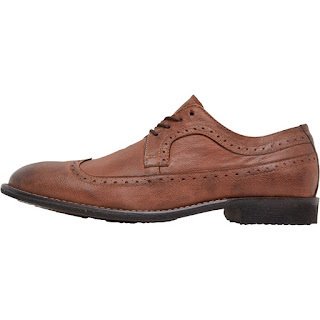 Brogues are a strong leather shoe with decorative perforations along the visible edges. They are very easy to adapt from a casual to a smart outfit. Suitable for all style seasons. Not just for men, they are a staple piece of your wardrobe. Perfect for lunch with friends or an androgynous even look if you're feeling more edgy. They are a reoccurring timeless fashion. They look great in shoe or boot form. They commonly have steel caps in four different styles so even ideal for most workplaces. They are incredibly hard-wearing and easy to maintain. Well if that hasn't encouraged you to take the plunge and purchase a pair, then I don't know what will! I would love to know, How would you wear yours? My personal favourite look is with a skirt or dress to show them off. Teletubbies New Toy Range Review!